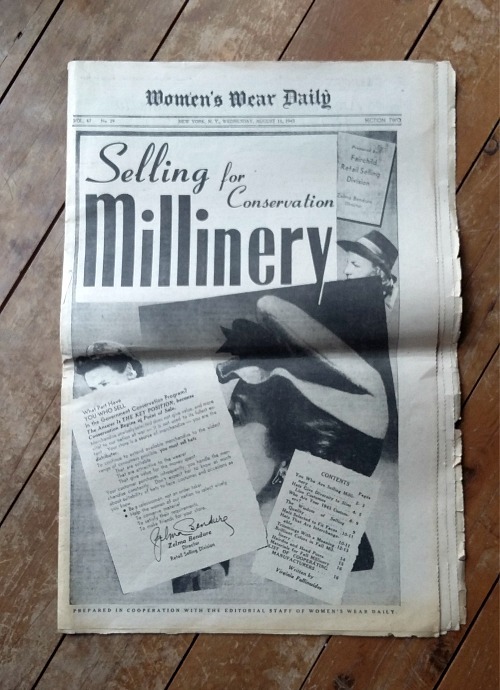 Today I'm bringing you some more snippets from the trade publication "Selling Millinery". 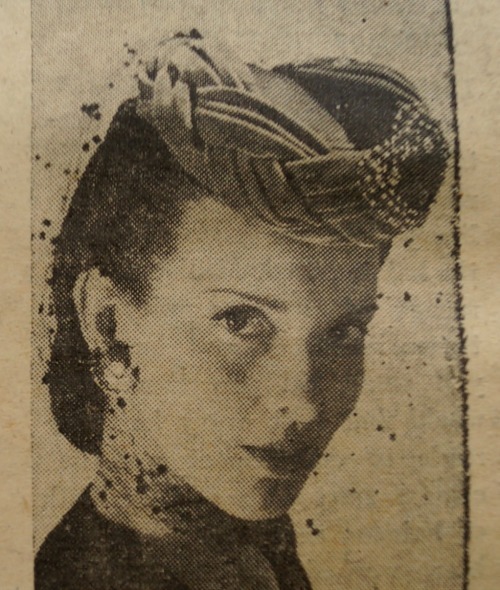 This time it is the issue from August 11, 1943. There are similarities, in both the trends and the type of information offered in these pages, to the 1942 issue I shared with you earlier. Interestingly, they both talked about customer types, but the types given are different. For a start, no one has to panic about classifying themselves as the "careless, ungroomed" type any more. Phew. 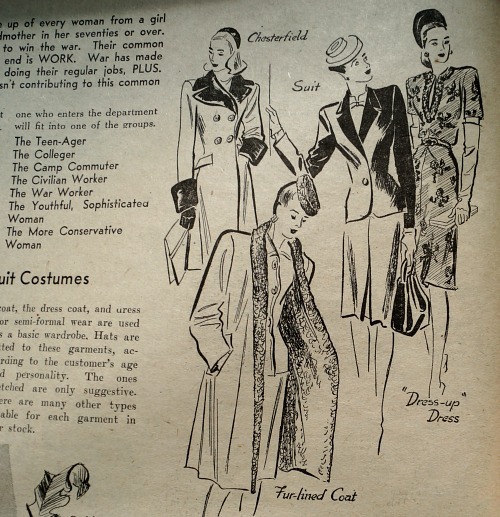 Now you can be The Teen-Ager, The Colleger, The Camp Commuter, The Civilian Worker, The Youthful, Sophisticated Woman or The More Conservative Woman. In addition, they look at the most common outfit types too, and create suggestions based on how customer and costume type combine. I'm generally not keen on admitting my type. 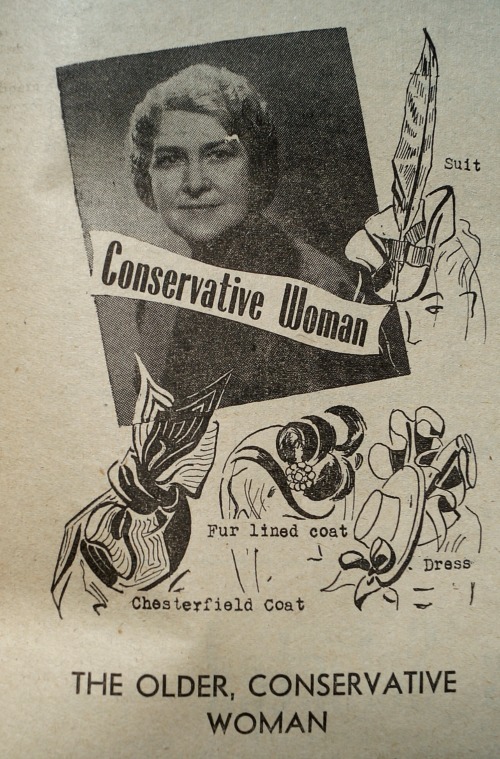 I suspect I'm The More Conservative Woman. But with hats like these, I'm actually happy with that! In addition, both papers talk about face shape. 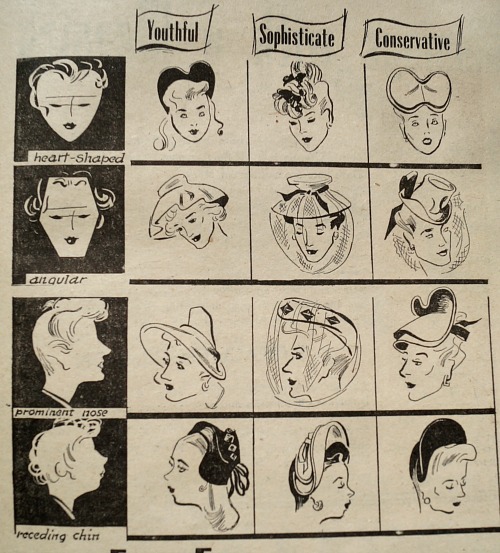 The 1942 issue talked face shape and body type, this one addresses face shape and features in combination with, well age I guess, although they don't say it precisely that way. I feel like all the little magazine quizzes I used to do and all the little infographics the internet is now filled with, have a longer history than I realised. We have, apparently, always loved to know our "type", and always loved little charts. 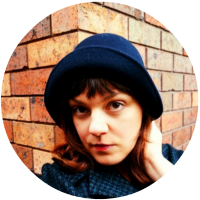 I have an urge to write a quiz entitled "What mythical creature are you, what colour is its aura, and what kind of hat should you wear?" This lady's inner mythical creature is an angry one. 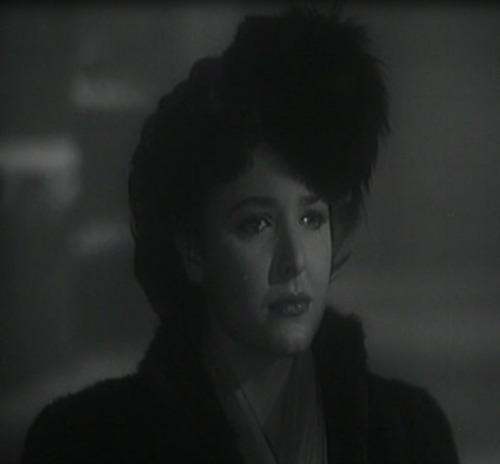 But she gets to wear a great hat. Another similarity between the issues is in the trends themselves. They both report on military influences and "Good Ally Influences". 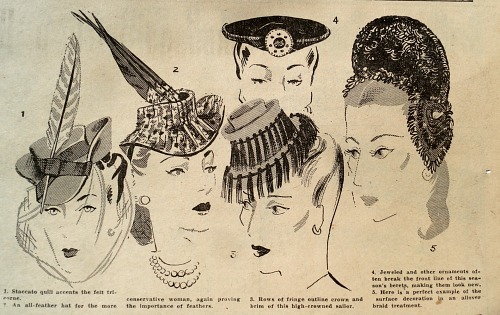 What's new in this issue is the "7-Point Millinery Plan", a voluntary agreement from the millinery industry in the USA, restricting the amounts of different materials that can be used in a hat. While they talk in terms of restrictions, the rules are not exactly harsh! They are also big on promoting retail to a noble art that has an important role to play for The Nation. Which, of course, it very much can be, but we don't often see it described in those terms. 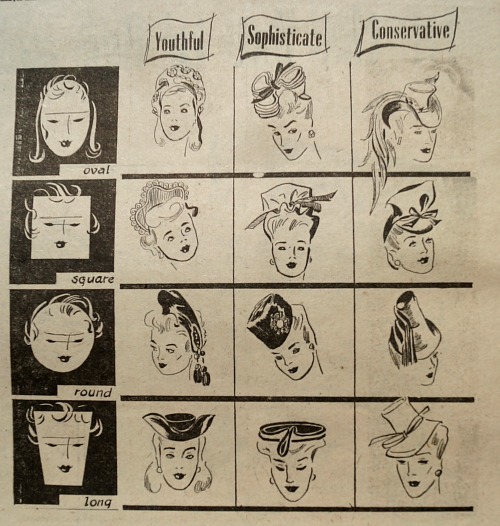 It does come across as somewhat humorous to us, in a world where hats are not seen as a necessity, that they say "Sell only what your customer needs...every woman should own at least one tailored and one dress up hat." 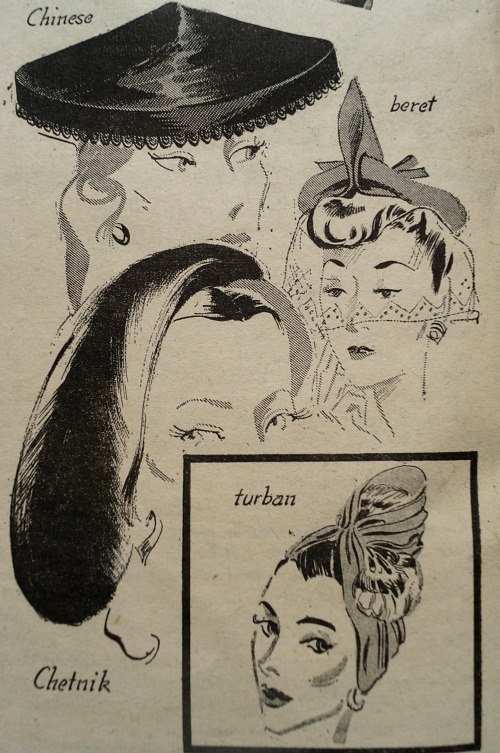 I love that we get to see the photo of this turban and also the illustration in the classic 40s style sketch above. Any favourites from these styles? 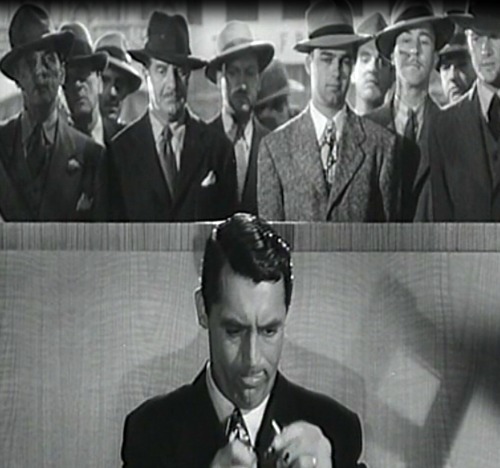 I think I need both a Chesterfield Coat and the hat to go with it! 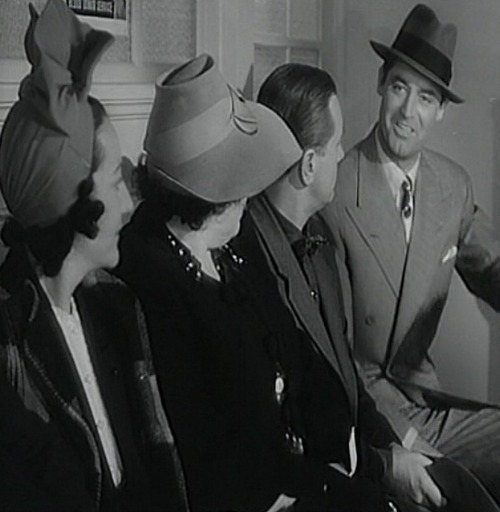 The classic movie in the spotlight today is Mr. Lucky (1943). 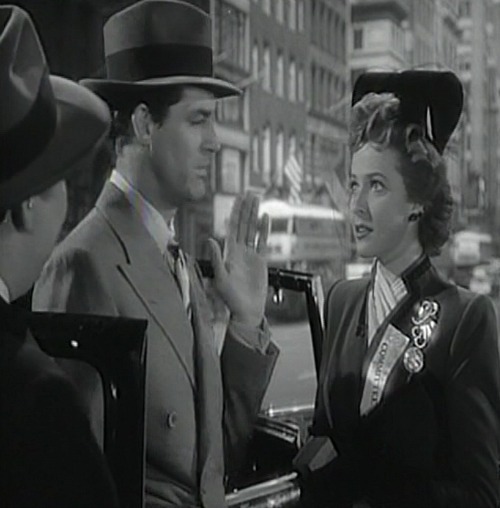 I was struck very early in the film by this tall sculptural felt hat that we see Dorothy (Laraine Day) wearing in her first meeting with Joe (Cary Grant) and in future scenes too. Look at the size of those loops. 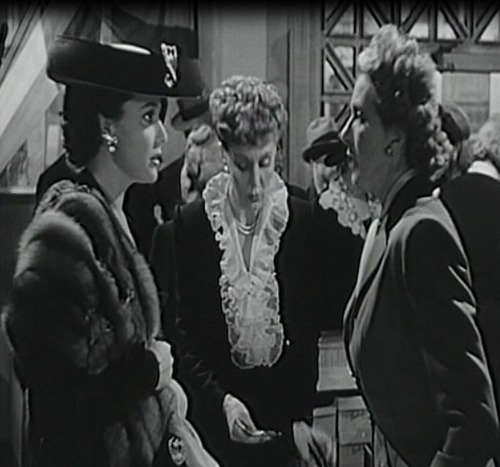 Unlike my previous movie reviews, The Bishop's Wife and Dark Victory, the hats have no particular significance in the plot of this one. They're just lovely. I mean, seriously. Look at that hat again. I'll admit that you really need to see it in motion to get the full effect. I might have to make one. 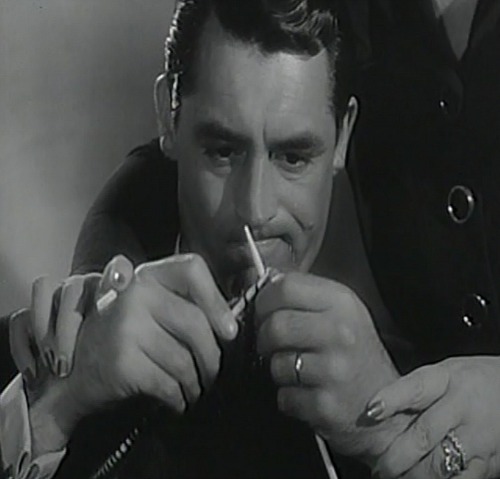 Also, you get to see Cary Grant being taught to knit. Dorothy only wears a few different hats, and that first one is my favourite. Mind you, we don't get to see much detail of this one. This next is elegant, but not that exciting to me. Joe doesn't care for it either, actually. 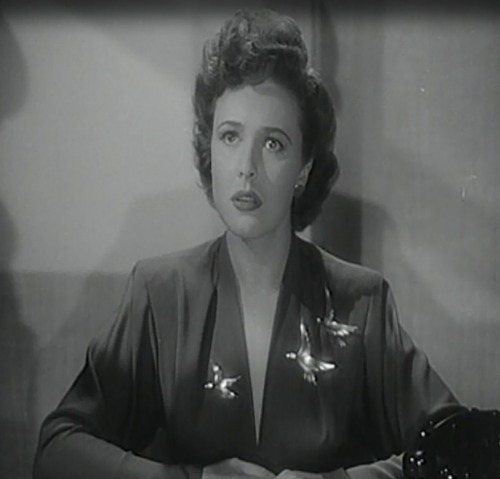 This is one of those movies that makes me want to shout "Stop! Wait! Zoom in on that extra!" 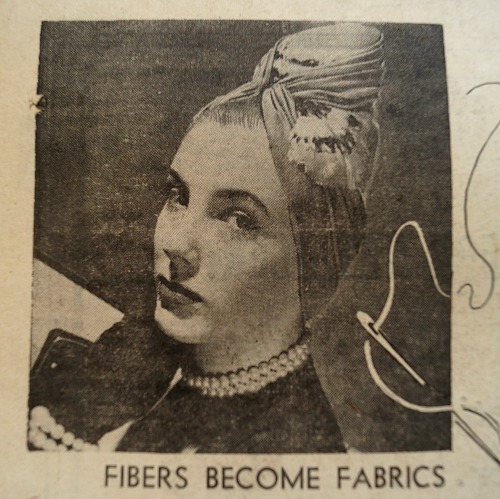 I'm quite taken by this turban, for example. 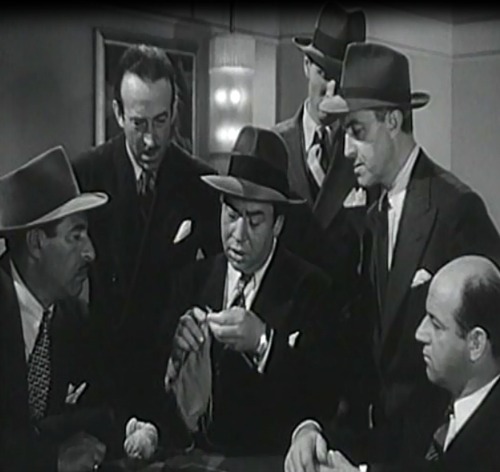 Of course, the men look pretty dapper in their hats too. There's a lot of knitting. Now this isn't a hat. But I know some of you like your brooches, and this is a display you have to see. All in all, since I'm a total sucker for a romantic comedy, I rate it "Adorable if Implausible" and recommend it if you like slick witty dialogue and cute couples. And hats you could drive a truck through.